Healthy dose of paranoia? Check. It’s insane how far people will go for easy money, and as much as we advise you to connect with the locals of every place you visit, a healthy dose of paranoia can’t hurt. Scams are rampant, and anyone can be a target. 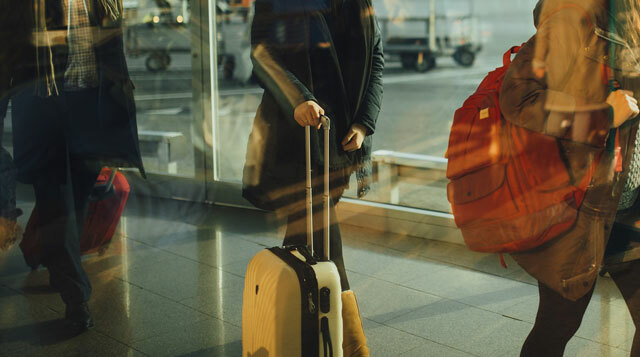 We’ve compiled a list of common scams travelers have encountered just so you know when something shady or out of the ordinary is happening. This scam involves a taxi driver and an expensive hostel. The driver’s job is to make you believe that your hostel is either overbooked or closed. He will then “recommend” a pricier place where he gets a cut of what you pay. You can avoid this by calling your hostel in advance or lying about having a reservation. Someone approaches you with what appears to be drugs, and police officers appear out of nowhere. They ask for your wallet and passport. Never hand them these things. Instead, let them know that you need to call the police to confirm that they aren’t scammers. You could also just lie and say that your passport is at your hotel. Posing as a helpful citizen, someone might approach you and offer to take your photo. While it’s tempting to give someone the benefit of the doubt, we advise you to read the situation. A safer situation is if you approach someone instead of handing your camera over to someone who approaches you. Tourists in Vietnam, Cambodia, and even the Philippines have experienced this scam. A rented bike is damaged or stolen, and the customer will have to pay the owner a substantial amount. Sure, it could have really been stolen, but in some cases, the owner is the one who arranges the whole scam. You can take “before” photos of the bike so you have proof of its condition. You can also buy your own lock. This one’s a little scary. You get a phone call in the middle of the night from someone pretending to be the front desk agent of the place you’re staying at—only it’s a scammer. They ask for your credit card details to confirm your reservation. Again, never give out sensitive information like that. If you have to, walk over and confirm that it was really them who made the call. We’ve heard some pretty disturbing variations of this one, like when scammers take advantage of people who get bird poop on them. How does that even work??? Do they just wait for people to get shat on by a bird? But the common scenario is when someone “spills” something on you, and then offers to clean it up. While you’re distracted by that, an accomplice could be stealing your stuff. This one’s hard to avoid because in the moment, you’re flustered. And sometimes, it really is just an accident. Still, be aware of moments when people are unnecessarily near you. Anytime someone offers you a free bracelet, postcard, picture—don’t believe it! NOTHING IS FREE ANYMORE. There’s always a catch. They will eventually start asking for some sort of payment, and sure, you can walk away, but others haven’t been so lucky—some people are threatened for refusing to pay up!